Created by the late Charles M. Schulz, the character of Charlie Brown has always been a bit of a ‘loveable loser,’ the kind of child who’s eager to succeed in life even though he fails a lot of the time due to his insecurities. He is unable to fly a kite, win a baseball game or even kick a football. Yet the charm in ‘Chuck,’ ‘Charlies’ or Charlie Brown lies in his ever-persevering nature as this downtrodden underdog constantly picks himself up and, with a positive mind-set, has another go — an attitude that is every bit as heroic as fulfilling any childhood ambition. 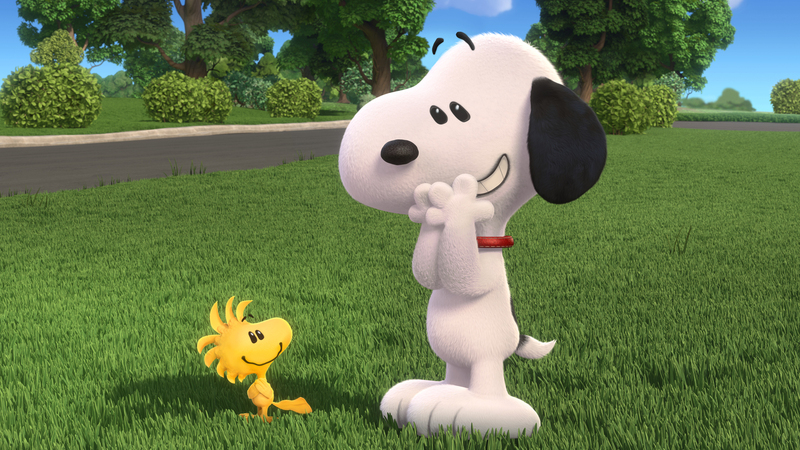 The Peanuts Movie however (which is known as Snoopy and Charlie Brown: The Peanuts Movie in some countries), lacks the backbone of its go-getting protagonist as the film, written by Craig and Bryan Schulz (Schulz’s son and grandson, respectively), and relative newcomer Cornelius Uliano, plays it safe for the most part, failing to go above and beyond surface level fluff. 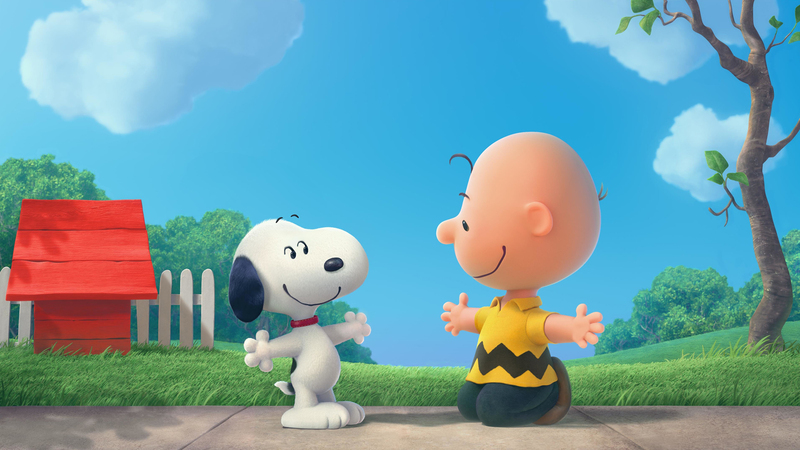 While, yeah, this may feel like a bit of a homecoming for adults who grew up with the Peanuts gang, these classic characters aren’t up to anything wildly surprising, which is kinda disappointing really, seeing as I hoped for a little more innovation in this 2015 big-screen Peanuts adaptation. The filmmakers at least do stay true to the ageless innocence of Schulz’s source with the faithful 3D animation standing as the flick’s biggest virtue, firmly replicating the iconic 2D artwork from Schulz’s panels in wonderful detail. And, bar a playful dance-pop sequence where Snoopy boogies to Meghan Trainor’s ‘Better When I’m Dancin’,’ these much-loved characters remain in tact (they behave and act exactly how long-time admirers assume they would), opposed to say, The Smurfs or even Alvin and the Chipmunks — childhood icons that have been sloppily modernized in an attempt to entice contemporary audiences into paying for a movie ticket. Given that the original Peanuts comic strips were essentially made up of three or four panels, the plot takes on an episodic nature. It’s basically an assembly of amusing little skits that revolve around Charlie Brown’s anxiety as he works up the courage to speak to a new student in his class, the Little Red-Haired Girl (Francesca Capaldi), with whom he is infatuated. It’s all quite delightful really, that’s until viewers realize there’s not much of a narrative at play with filmmakers using nostalgia to allure parents and hearty G-rated antics (in the truest sense of the word) to appeal to the kiddies. The Peanuts Movie loses a bit of steam when it goes that bit Pixar-esque with the lovable beagle Snoopy taking to the skies after he finds an old typewriter in the dumpster. 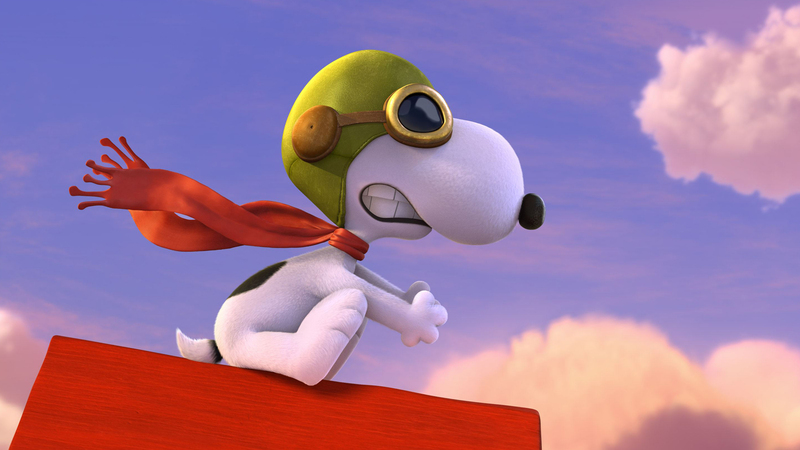 Portrayed via his imagination, Snoopy decides to write a novel about his alter ego, the World War I Flying Ace who’s trying to rescue his lover, the white poodle Fifi (Kristin Chenoweth), from Manfred Freiherr von Richthofen aka the Red Baron. This side ‘dogfight’ story could be too confusing for youngsters not familiar with the Flying Ace who first appeared in the comic strip back in October 1965. A respectful love letter to all things Schulz, The Peanuts Movie is really all about simplicity, it’s easy to understand and generally works well for the most part — it’s voiced by real children, features a flashy score by Christophe Beck, Frozen (2013), (which encompasses some of Vince Guaraldi’s traditional tunes) and comes with those adorable Peanuts exchanges (Peppermint Patty still refers to Charlie Brown as ‘Chuck’ while Marcie still calls Peppermint Patty ‘Sir’). It’s probably about 20 minutes too long but The Peanuts Movie is a wholesome family entertainer, one that works best for toddlers or younger children. Nice post. I really was disappointed with this, even flat out bored. Great production, though.